Star Trek — William Shatner is apparently still puzzled about not being asked to be involved in the upcoming Trek movie. He told Extra TV, “How could you not put one of the founding figures into a movie that was being resurrected? That doesn’t make good business sense to me!” There may have been plans to write Shatner into the movie during production but the writers strike may have killed that possibility. Mercy Reef — Back in 2005, an episode of Smallville featured a young Aquaman, played by Alan Ritchson. Based on some of the ideas in that episode, the show’s producers decided to try making a spin-off entitled Mercy Reef and cast Justin Hartley in the lead role. Unfortunately, the pilot didn’t sell and Hartley was given a recurring role on Smallville as another popular hero, Green Arrow. 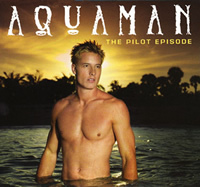 The pilot’s become very popular on iTunes and has now been bundled (retitled Aquaman) with Smallville season sets at Best Buy. Blade: The Series — New Line has announced the DVD release. The series ran for only 13 episodes but still has a devoted following. The four disc set is scheduled to be released on February 12, 2008 and will feature unrated and “too graphic for TV” extended episodes. Kyle XY — The drama is returning to ABC Family for the conclusion of the series’ second season. The first of the 10 episodes will premiere on Monday, January 14, 2008. Journeyman — Series director Alex Graves has been signed to direct the pilot of Fringe for FOX. Production is set to begin in February on the $10 million dollar two-hour pilot and Graves will become an executive director on the project, joining J.J. Abrams, Alex Kurtzman, and Roberto Orci. Fringe has already received a series commitment from FOX and is described as a crime procedural show with supernatural elements. Stay tuned!